Whether looking for a way to promote your neighborhood bank, or luring potential investors in your stock, this is the promotional giveaway gift for you. 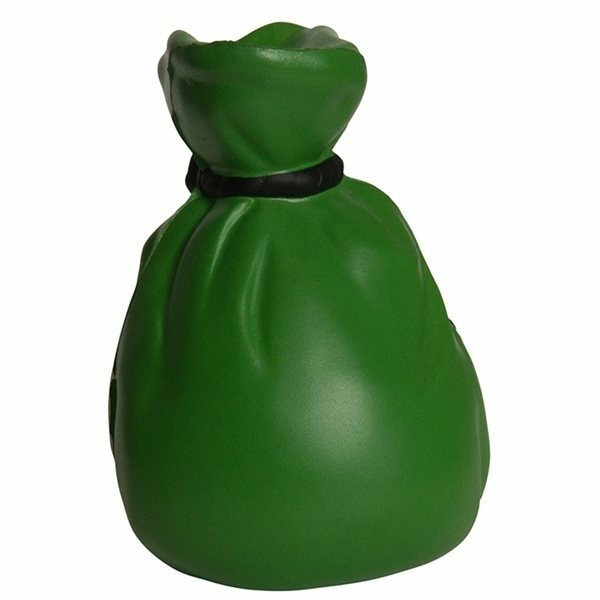 With your imprinted logo or slogan, this fun stress reliever, will have your clients ball tossing, squeezing and displaying their personalized money bag shape stress reliever. High quality for that cost. Everything turned out good, the price, the look, the logo. this is something I see in retail stores that cost twice as much as it does here in AnyPromo. Definitely happy with our purchase. Alicia is an excellent representative of your company. We ddn't have time to ask for a free sample but the final products turned out great! Veronica is very friendly, helpful, courteous, and prompt. We enjoy ordering from AnyPromo. Precisely what we wanted -a higher-quality product in an affordable cost.